In August of 2006, a party was held at a house in Webster. It was this day that the two of us could look back on and say definitively that we were at the same place for the first time, although it is possible not at the same time. 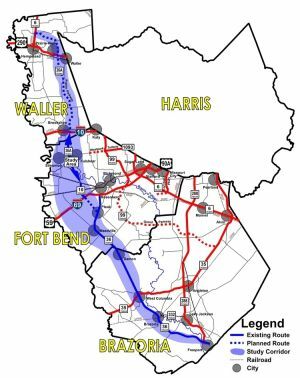 There could have been times in our youth that our paths criss-crossed, like maybe when he was a courier and sometimes drove out near Tomball, but our social groups, split by geographic distance, never would have mixed. That day, that party eight years ago, I had left for an hour or two, during the part where most disperse from geocaching events to go find some local caches. I had ended up in Sylvan Rodriquez Park, pushing the stroller and fussing with my six year old who did not want to have any part of geocaching. Such was my lot back then. I remember doing a couple and then just being frustrated, and since then, that park has been staring at me from the map, reminding me of my inability to get caches crossed off the list. We still had some fussing with the older child who wanted no part of the geocaching, but now he was old enough to be left sunning himself on a park bench, listening to music from his smartphone. 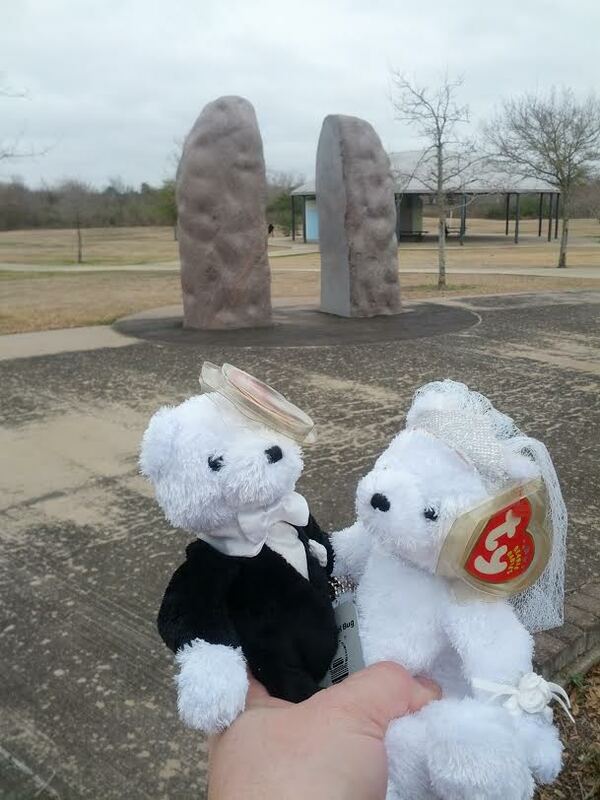 We grabbed those caches that had alluded me back then, and more. We also identified some new birds for our list: the Neotropic Cormorant and Lesser Yellowlegs. The first species was actually in and around the lake, diving for food, and the second was skirting the marshy areas nearby. We also watched and listened to a hawk and several other small birds as we walked (mostly yellow rumped warblers), and then on the way out, I was surprised by a large vireo who flew down into a tree near us. He really looked like Gray Vireo, but those aren’t supposed to be local to here, so I am going to have to call him a Blue-headed Vireo. The day before, there were also some unexpected adventures, mostly regarded birds (of course, since this blog has accidentally become like a one trick pony). 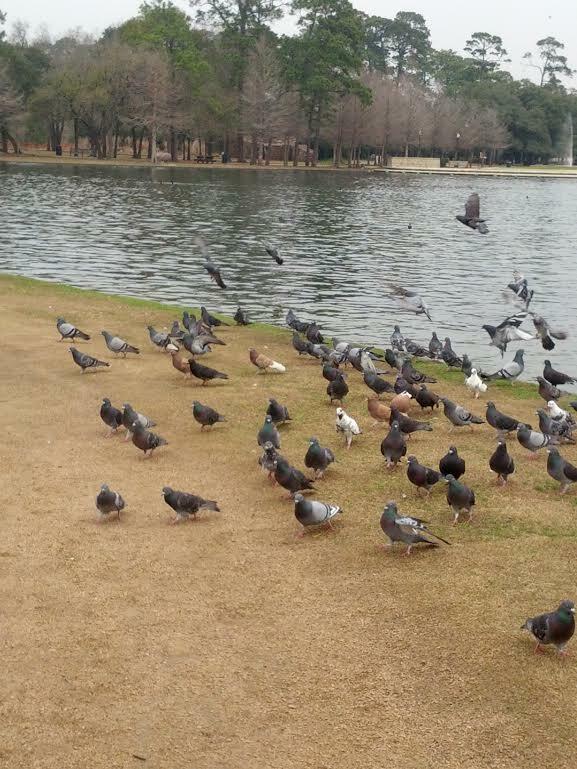 The kids and I were joining friends at the zoo, and walked over to the lake over there at Hermann Park while we waited. There was a large flock of ducks in the water that included American Coots, which we have been seeing a lot of, but also Ring Necked Ducks, a species we haven’t encountered before. My youngest laughed with delight and surprise when a huge flock of pigeons fluttered their wings around us, attracted by the seed that a couple of little girls brought. Their feathers tickled our faces and their coos made our hearts race as they rose up around us any time they were slightly spooked. As we were walking through the zoo, I noticed that I was observing the birds within and around the exhibits more than I used to. We had to wait at the Duck Pond by the refreshment stand for a while for my friend, and there I pointed out the Brown Pelicans and then the rare pair of Hooded Mergansers that were in the pond, in addition to some of the usual suspects. The mergansers are highly sought out by the birding types on a forum I get emails from, which is understandably because they are quite flashy. There was another brightly colored duck in one of the exhibits that I was trying to get a picture of, and never got one decent enough to put on here. However, I was trying to identify the duck species later. 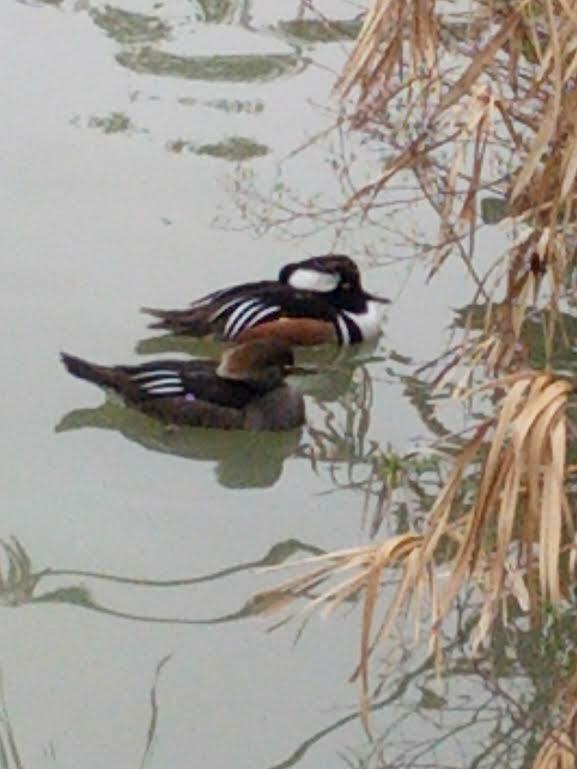 I thought it was a Woodduck, but its markings were different. I finally figured out the reason why I was having a hard time identifying it is because it was not a local species, but an imported one – the Mandarin Duck, which actually is related to the Woodduck (so I was on the right path). I am not going to count this one in our species count because it is not a native species, so that brings our species count to 50. Edit: No, wait, 51. I forgot about another unexpected event. It was a cold evening last Tuesday (37 degrees) but I had to find a cache to fill in my dates calendar. So there I was, by a duck pond, signing a log, and I called out to my feathered friends, “hey ducks!” I almost shrieked with surprise when like fifty ducks started making a fast beeline towards me. I was not expecting them to be so hungry, and I had nothing on me to feed them, so I had to make a quick getaway. Not before noticing, though, that most of them were Mallards, a species I didn’t already have checked off this year. We had a nice hike yesterday on the Lone Star Trail, and although I heard lots of birds, the only ones I really saw were the Red-Bellied Woodpecker and the Northern Cardinal. There have been some interesting peeps and tweets outside drawing me to nature, so I am sure I will be finding some new birds soon. Sunday afternoon was drizzly and a bit cold, but here we were, in the truck headed south to Brazos Bend State Park anyway. We were on a mission to retrieve J’s lost binoculars lens cover, and he agreed to indulge my desire to get a few caches and look for a few birds. We settled on the Old and New Horseshoe Lake part, because that was a trail in which we could accomplish both missions. Last time we were here, we were not near the water, so I wanted to see what the water birds were doing. Old Horseshoe Lake is pretty much dried up right now, but there was a lot of action going on at New, as well as the larger Elm Lake to the left of the trail. We meant to be moving right along, but got distracted by a hawk flying over and then parking himself on a branch across New Horseshoe. We watched as a gator trailed an American Coot across the water. It seemed like the gator was serious, but at one point he slowed down, and the coot stopped and moved back towards him, like, “whatcha doing now?” It makes me wonder if the gators eat the coots or not, although it seems like it would be a good food source for them. There were a LOT of coots in this lake. There were also White Ibises feeding across the lake, as well as an egret here and there. Common Moorhen also cruised the water. Our new find of the day was a pair of Blue-winged Teals who moved in and around the coots, feeding at the edge of the lake. We watched the hawk for a while, identified as a Red-shouldered, and then moved off to get those caches. The caches were great – ammo cans just a bit off the trail, not too hard to get to or find but enough of a challenge to keep us interested. The rangers or volunteers of some sort were driving around the trail on a golf cart, stopping now and then to pick things up, and it was the only thing that interfered with the song and sound of birds. I could hear them, but I couldn’t always see them. If I am going to take this bird thing serious, I really need to learn their songs and calls to be able to identify what is out there on hearing alone. Our best bird find along the walk was finding a pair of Yellow-bellied Sapsuckers. That was fun. Later, we saw a red-bellied woodpecker. We also saw and probably heard cardinals and the yellow rumped warbler. We saw another hawk, or maybe the same hawk, calling and then perching on a dead tree out on the field to the right as we made our way back. It was a red-shouldered as well, so might have been the same one. As we passed the New Horseshoe Lake one last time, we found another bird in the lake that got us in a heated discussion trying to identify. It was a goofy looking bird – big and tall, with mostly grey-ish feathers with black markings and a white head. His feathers on his chest stuck out on all kinds of directions, and he looked like an old retired bird, long past the point of caring about what he looked like. 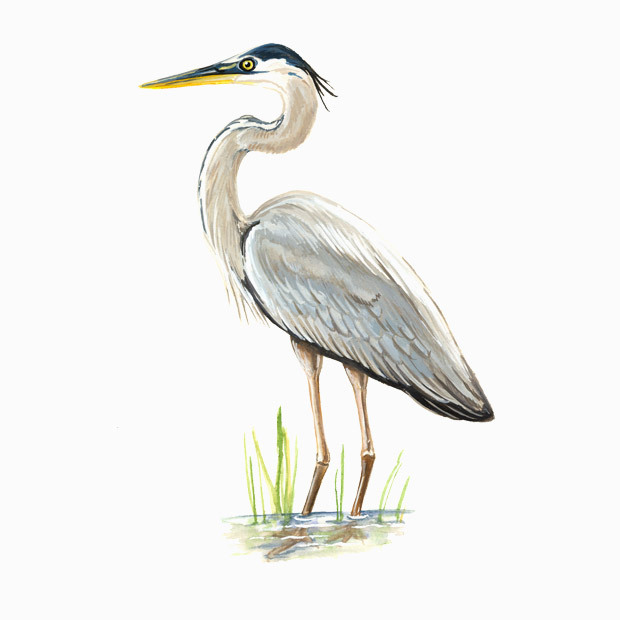 After much discussion, combing the bird book, and looking at pictures online, we finally decided he was a Great Blue Heron, although his blue was now a bit faded. I think we have 87 active caches left in this park that we haven’t found yet, so I am sure we will be back to find them, and more birds, soon.